As a culture, we are so driven to perpetuate our youth that we often fail to realize the great gain of growing older. Sure, age can bring with it many challenges, but so does youth if you break it down to pros and cons. How many of us have wished we could take the knowledge of what we know now back to our younger selves? The good news is there is an alternative to always having to learn in retrospect. When we regard the older and wiser generation, we have the opportunity to look wisdom right in the eye. There is the distinct benefit to putting the time in with those who have put in significant time to grow in wisdom and knowledge. We need to cherish our seniors as their presence is a gift. This sentiment is at the heart of my effort to launch Senior Appreciation Month. This is our opportunity to engage seniors in our community and to show them a great time. 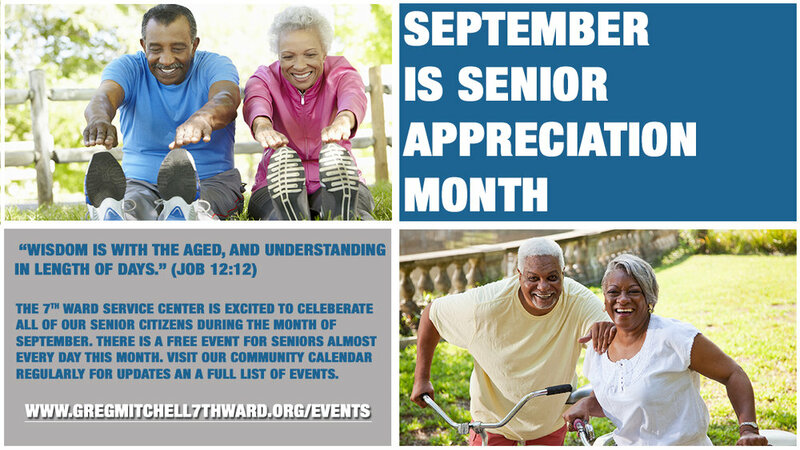 Please share our community calendar with seniors in your life - be sure they have all of the information needed to fully take advantage of these events.